I’ll be speaking at two sessions at The WritersUA East Conference for Software User Assistance in Newport, Rhode Island, at the Marriott Newport, October 27-29, 2013. Whether a “lone writer” or part of a team environment, today’s authors have a greater need to share and reuse content. This often ranges from text, tables and screenshots to elaborate multimedia assets. The challenge is to keep all the project parts “in sync” and up to date. User Defined Variables (UDV) – Is that “click” for a desktop, “tap” for an iPad or “say Select” for a Smartphone? How many times have we typed “Acme Product” in many topics only to be told that management decided to change the name! You can manage those contingencies quickly using a UDV placeholder. John will also show how to use RoboHelp’s Scripting engine to create UDVs automatically. Snippets – Sometimes you want to reuse chunks of content larger than just a word or two. Convert paragraphs, tables, screenshots and most any content to a Snippet and make it possible to populate changes throughout a website in one go. Conditional Build Tags (CBT) – There are multiple audiences for our content. It may depend on showing only relevant information to a group of readers, or you many need to exclude content depending on the mobile device that is accessing it. CBTs can customize content for multiple audiences, yet maintain a single source of content and avoid fragmentation. Publish your Captivate eLearning animated tutorials as HTML5 output and import them into your RoboHelp project. Create Screen Profiles in RoboHelp to optimize the multimedia content for various devices. Manage CSS and Media Queries for compatibility with mobile device targets. Create a customized or branded “look and feel” for your Screen Layouts to show off your content consistently. Create Single Source Layouts and manage the content by using different ”sets” of User Defined Variables, Conditional Build Tags and Screen Profiles for various devices. I’ll have two sessions at The WritersUA East Conference for Software User Assistance will be held in Newport, Rhode Island, at the Marriott Newport, October 27-29, 2013. The primary goal is to continue to provide an event with the most comprehensive and timely information specifically designed for user assistance professionals. Attendance has surpassed 8,000 people in the 21 years of the conference’s existence! Registration for the Conference opens May 15 with early registration discounts. The web site will contain all of the details about the event including session descriptions, speakers, and agenda. Get on our WritersUA mailing list to receive the latest Conference updates. Make eLearning fun with drag-and-drop games, quizzes, and learning modules that can run on desktops and iPads. 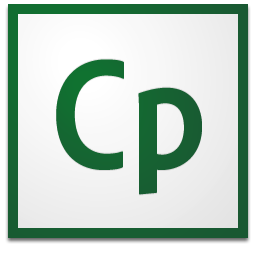 Import your PowerPoint project, including text, shapes, audio, and animations, into Adobe Captivate 7 and publish them directly to HTML5. Expand your outreach to defense, government, and educational organizations. Easily create simulations and demonstrations that address accessibility standards such as Section 508 and Web Content Accessibility Guidelines 2.0 (WCAG 2.0). Define text equivalents, insert clickable areas that allow keyboard access, and more to help ensure that everyone can access your content. Out-of-the-box interactions, like Hangman, Jigsaw, Process Cycle, Glossary, Accordion and Pyramid, customize the content and appearance, and you’re done. Stream YouTube videos within your courses, for greater impact and retention. Specify which section of the video you want the learner to view, to make it contextually relevant. Enable more effective learning by embedding a browser interface within your courses. Allow your learners to access additional web-based reference material that complements course content. Enable learners to add and edit notes as they take their course, thereby allowing them to place cues within the course for reference. Now record system audio along with narration in an Adobe Captivate course on Windows® 7 and Windows 8. Simultaneously record narration and capture screen motion, and synchronize audio with slides and timed objects. Edit audio to correct mistakes and pauses, add an external track, or attach sound effects or narration to individual objects. Read more details here and view videos here. So mark your calendar for an eventful day with the experts and Team Adobe! Meet with the Adobe Product Management team and share your experiences and feedback. Influence the future product roadmap. Catch industry stalwarts like Bernard Aschwanden, Charles Corfield, John Daigle, Kevin Siegel, Mark Lewis, Rahel Baillie, Ray Gallon, Sarah O´Keefe, and Scott Abel, as they speak on trends in technical communication and content strategy. Enjoy the exclusive Adobe hospitality…while you learn, network, and grow! Vikram Verma is the new Adobe RoboHelp, RoboHelp Server and Adobe Technical Communication Suite product manager. Vikram takes over the product management responsibilities from Ankur Jain, who has moved on to another role within Adobe. I look forward to working with Vikram as he leads my favorite authoring tools through future development. Meanwhile, Vikram has a new blog post worth checking out regarding the HTML5 output of Adobe RoboHelp. I’m happy to say my friend, Vish Shivaswamy, the Abobe Captivate Product Evangelist will join me for this fun presentation. We know that having a “visible author” coach the learner through an application simulation is more effective. This was driven home in Ruth Clark and Richard Mayer’s groundbreaking book, e-Learning and the Science of Instruction. This informal, personalized approach is more credible and engaging, and learners are more likely to comprehend the material when they know “someone” is there to help them. In this session, you will see how major new workflows in Adobe Presenter 8, Adobe Captivate 6, and the eLearning Suite provide an easy way to create high-impact video to help the learner focus on the simulation being presented. Register for free here. Join me and my colleague, Willam van Weelden October 18. Microsoft SharePoint is a growing platform for multi-author teams who need to keep their content synchronized. A growing share of SharePoint users now access their content from mobile devices and tablets. Adobe RoboHelp 10 provides an easy way to publish Multiscreen HTML5 directly to a SharePoint site to facilitate those devices. At the same time, the workflow provides version and source control integration between RoboHelp and SharePoint. This allows for files to be checked in and out. Authors can also publish native SharePoint files (.aspx) directly to a SharePoint site from within RoboHelp. Publish native Microsoft SharePoint (.aspx) format directly to a document library. Use SharePoint as your source control tool with Check-in, Check-Out of files and keeping a history of your topic content all from a convenient toolbar right within RoboHelp. Improve the Search Experience by taking advantage of both SharePoint and RoboHelp’s search capabilities. Use SharePoint to facilitate RoboHelp’s PDF Review and Collaboration workflow to keep authors and subject matter experts in sync. Presenters: This eSeminar is hosted by Adobe Certified RoboHelp Instructor John Daigle. John teaches and consults Adobe RoboHelp and Adobe Captivate and is based in Evergreen, Colorado. I’ll have a guest join me you won’t want to miss: Willam van Weelden. Register for free here.